I am a Placenta Encapsulations Specialist and a Phlebotomist working closely with www.smartcellsbaby.co.uk Are there Stem Cells and Growth Factors in the Placenta? There certainly are and they will help you heal and recovery after birth. Having worked in childcare for over 22 years, I could never have imagined that I would set up a company dedicated to Placenta Encapsulation. A company entirely focused on placenta encapsulation! Placenta capsules have become so popular over the last 4 years that I have been a placenta encapsulation consultant, and I felt that Placenta Practice had to happen as the demand for placenta remedies has spiralled due to the amazing postnatal benefits and healing properties the placenta capsules have on women. My career to date has been an amazing journey and one that I have learnt a myriad of information from. I have worked in nursery schools, pre-schools, out of school clubs and private schools as teachers assistant. Placenta Practice sole purpose is to advise families looking into placenta encapsulation. Our new secure website www.placentapractice.co.uk will be user friendly, easy to navigate, and will have a ‘book now’ option making it easier for clients. You will be able to browse through all the different placenta remedies and placenta lotions that we can make and generally find out more about placenta encapsulation. There will be a placenta remedies section where individual placenta product will give you detailed information on particular placenta remedy and placenta lotions. There will be a placenta encapsulation frequently asked questions section, with placenta topics discussed in a user friendly manner. Our placenta encapsulation will be updated on a weekly basis keeping you informed on all the latest research and studies into placenta encapsulation. There will be a sections dedicated to stem cells and cord blood storage. As a phlebotomist I work with Smart Cells, the world’s leading umbilical cord blood stem cell storage company. Smart Cells is the first private UK stem cell storage company to have released stored stem cell units for use in the treatment of children with life-threatening illnesses. www.smartcellsbaby.co.uk Smart Cells has released the greatest number of samples for use in transplants from the UK, and I feel privileged to be able to support our placenta encapsulation clients who also wish to store stem cells and cord blood. This bespoke service ensures your placenta is handled in accordance to placenta encapsulation safety and hygine. www.smartcell.co.uk. 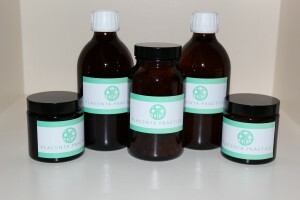 Stem cells and growth factors are also found in Placenta Remedies and lotions. Placenta Practice is getting nearer to our big launch. It’s taken many months of rebranding, designing our new placenta capsules labels and placenta tincture labels as when all all the other placenta remedies and lotions labels. Writing the content regarding placenta encapsulation, finalising website designs and so much more. We have also become the UK first phlebotomist and placenta encapsulations company, which is amazing news for all our clients who wish to have their placenta encapsulated as week as storing stem cells and cord blood. Placenta Practice has a brand new purpose build practice ensuring the highest standards of health and safety. We offer a bespoke placenta encapsulation service and are happy to answer any questions regarding placenta pills and any of the other placenta remedies you would like to know about. Placenta practice will ensure the quickest possible turn around on you placenta capsules and remedies, ensuring you can start taking your placenta pills as quickly as possible. What are the most important nutrients found in the placenta? 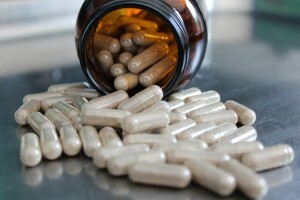 What are the Placenta benefits of Placenta Encapsulation? Stem Cells and growth factors: Hematopoietic Progenitor stem cells, Hematopoietic stem cells (HSCs) and Mesenchymal stem cells (MSCs) are the placentas rich stem cells. stem cells have the amazing potential to develop into many other cell types which can help repair damaged cells of any kind. Oestrogen, Progesterone, Testosterone: Help developing mammary glands in preparation for lactation. They also balance postpartum mood, reduce depression, stabilises post-birth uterine cramping and normalise and stimulate libido. Prolactin: Great boost for mothering instincts. Prolactin also helps promote lactation thus increasing mothers milk supply. Oxytocin: Enhances the breastfeeding let-down reflex, helps prevent the production of stress hormones such as Cortisol, is extremely effective in reducing post-partum bleeding, decreases after pains and increases bonding between mother and baby. Thyroid Stimulating Hormone: Regulates the thyroid gland, increases energy and helps with general recovery after birth. Corticotropin Releasing Hormone (CRH): Low levels of CRH are related to postpartum depression. Increasing your CRH will help prevent depression after birth. Cortisone: Promotes healing and reduces inflammation and swelling, a great placenta benefit. Interferon: Improves the protective defences of the immune system to fight infection. Prostaglandins: Helps uterus return to its pre-pregnancy size, regulates contractions in the uterus after birth and has anti-inflammatory properties. Iron: Increases energy and decreases fatigue and depression. Restocks maternal iron stores to combat anaemia which is a very common postpartum condition. Haemoglobin: Is an oxygen-carrying molecule which provides a boost in energy. Urokinase Inhibiting Factor and Factor XIII: Stops bleeding and encourages wound healing which is a great benefit to taking placenta pills. Human Placental Lactogen (hPL): This hormone has lactogenic and growth-promoting properties; promotes mammary gland growth in preparation for lacta-tion in the mother. It also regulates maternal glucose, protein, and fat levels.